I bought this house a year shobfor 245. 1500 sqft, sits on an acre nd a half, recently upgraded all the eat through. Was a good deal when I bought, my other comps (provided to me in a 20 page report by an outside appraisal) were anywhere from 275-325. He brought mine in at 290. Zillow has it at 276, meanwhile I remolded mg basement, upgraded all my plumbing, and did some new large patio doors. I feel like zillow is way here, but at the end of the day its only an “zestimate” right? Who really rkys on this info? 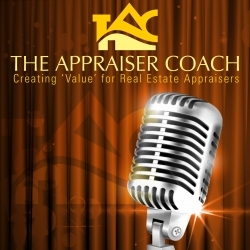 Do people really purchase a home with an appraisal? Sry about all the spelling.. Lol. To early in the am! Good post though mark! Could not edit the above post but if you click it you will find a Zillow map. In the center of the map is a home I own which I purchased 4 years ago for $80K and have renovated with at least $30K – roof, HVAC, added a bath etc. They still have it at $79K and I’m saying at least $110+. The homes to the lower right are historical homes over 3,000sf and nicely renovated worth close to $300K at least – they have them at $82K and $125K. The home on the lower corner is in fair condition and might bring $70-80K, Z says $112 and then just above me they have a 2400sf renovated home valued at $31K – it did burn about 4 years ago but has been renovated for over a year at least. Anyhow – in a microcosm this proves how unreliable Zillow is and anything like it.